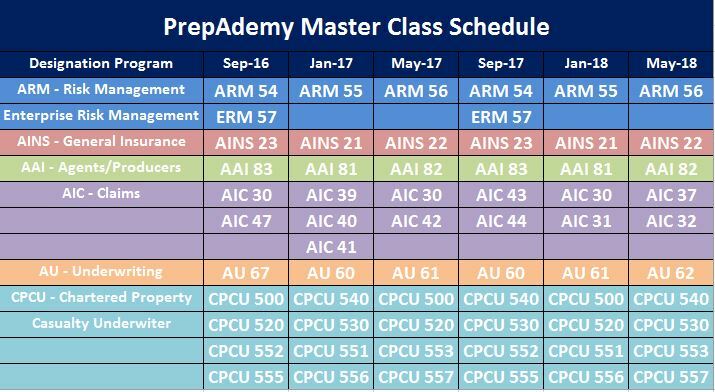 Currently PrepAdemy offers live online weekly classes for CPCU ARM ERM AIC AINS AAI and AU designation programs. Customized classes are available using the PrepAdemy Virtual Classroom Community. Please call Sandy Masters in Arizona at 480-895-0060 for complete details.